When I was young we had a rash of land ownership scams based on abuse of Quit Claim Deeds. The fraud artist would offer to sell you this beautiful piece of land and deed it over to you via a Quit Claim Deed. The problem was that the purported Seller never had any valid ownership in that land to begin with, so his Quit Claim was meaningless. For only $50,000 I will gladly give you a Quit Claim to all the land I own in Florida. The Municipal United States Congress has been doing the same thing. They don't actually represent you, but they let people assume that they do, and then they act as if they had the authority to do all the things they have done--- when in point of fact, they don't. They have no valid interest--- no land in Florida. So all their works and ways are invalid from the start and as if they never existed since 1860 with respect to us. The technical legal term is: void for fraud. We have our republics, if we occupy them. We can, if we get moving and organized, "reconstruct" our Federal States of States and impose sanity on this asylum. The complete fraudulent nature of this entire situation is made clear from the fact that the perpetrators endlessly describe their aberrant, renegade government of, by, and for corporations as a "democracy" -- and they have never yet had a mandate of 51% of anyone voting for anything. They proclaim that they are a democracy, albeit one without any mandate to exist. That's like claiming to be a milk cow without an udder, or a cat without claws, a bird without feathers, or a snake without scales. You might as well claim that your wife is a hat, as to claim to be a democracy without a mandate. You need look no farther for any explanation or fact. The entire house of cards falls apart on the first defect, and there you have two (2) defects that are completely unanswerable: (1) their United States Congress does not represent our United States; (2) their democracy can't exist without a mandate, and so far as we can determine, they have never had a mandate to do anything at all. Bottom line, the whole circumstance is nothing but a criminal Breach of Trust and Swindle owed immediate correction and cessation. We, Americans, are dealing with two (2) foreign governments on our shores--- one Territorial United States Government presided over by the British hegemony, and one Municipal United States Government presided over by the bunko artists of the "Republican" and "Democratic" Political Lobbies, in what pretends to be "a" "United States Congress". Instead, they have usurped upon our States and established their own "States of States" and liberally substituted themselves for our rightful government in betrayal of trust and duty. In additional fairness to us, we were never required to replace the Federal States of States and are perfectly competent to run our commercial affairs as States, so that there has in fact been no "emergency" and no viable excuse for what has been perpetrated in this country. The Second Thorn in our flesh, the Municipal United States Government, is run as an "independent international city-state" under a foreign charter issued by the Holy See, and it was (and is) supposed to be limited to providing a municipal government for the Municipality of Washington, DC, wholly within the ten miles square of the District of Columbia. Instead, they, too, have established their own Municipal STATES OF STATES and have incorporated more than 185,000 municipal corporations to function under their boot heels--- and the Pope's. All of this activity by them is strictly unconstitutional and illegal, too. Unfortunately, the fraud perpetuated here proved to be very profitable and the rest of the world's governments followed suit. As a result, the French and the Germans and the Japanese and the Aussies and the Canadians and nearly 200 other countries are similarly beset by two layers of foreign government, all functioning as "governmental services corporations" -- that have nothing to do with the actual government that the people are owed. It is vitally important for everyone to understand the fact that these jokers are just corporations in the business of providing "governmental services" under contract and are not our actual government. They see their "job" as selling us services like any other vendor, and if we don't like the service they provide--? In theory, according to them, the only people we can complain to are their bosses and their bosses --- as you can clearly see --- generally don't give a fig about service to the country or the people in it. As long as we let them get away with it and are deceived by this giant game of "Pretend" they have everything to gain and nothing to lose by continuing on with this out of control charade. 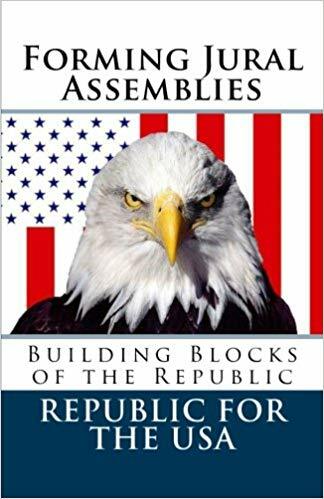 We, the People, (as opposed to "We, the Persons") are supposed to be self-governing, so we are the actual government in this country, but in order to fulfill our role, we must move to organize our Jural Assemblies and exercise our prerogatives, or we shall have none. The lawlessness and the "circus" in Washington are at least to a degree our own fault. People are constantly asking me --- why doesn't President Trump do this and why doesn't he do that? And most of the time the answer is that their problem is with the Municipal Government run by the members of the Municipal Congress authorized under Article I, Section 8, Clause 17. President Trump can't address the Municipal Congress's separate, foreign, and "plenary" government until and unless it usurps against the parts of the Constitution that he is responsible for. It is always a case of the "pot calling the kettle black" with these two entities--- one that pretends to serve us, and one that pretends to represent us --- both of them acting in default. The Territorial Government blames the Municipal Government and the Municipal Government blames the Territorial Government --- and we suffer for it both coming and going. Mr. Trump may be obligated by his presumed service contract to declare martial law to seal our borders. The big question in everyone's mind should be --- why, if these members of "Congress" are supposed to be "representing" us and our country, aren't they doing their duty to protect and preserve us? The further question is why should any member of Congress be promoting lawlessness? It isn't as if we don't already have lawful means of entering this country---- so here we have a purported "lawmaker" condoning lawlessness. I choked when I heard Nancy Pelosi claim that an effective border is "an immorality". The only immorality involved is a Congress-person advocating lawlessness and destruction of our country and getting paid (handsomely) by us to provide such a gross disservice. She should be taken to Fort Belvoir in chains and made to stand trial for mental incompetence and treason. Or she can stay sequestered and silent in her little ten mile square "kingdom" until such time as we decide to outlaw it and dismember the agreements that ever allowed it to exist for breach of trust and commercial contract. The answer to the Fake Congress and its members will be found in the International Organizations Immunity Act (IOIA) of 1976, where the Municipal "Congress" washed its hands and departed from its obligations to us, choosing to "release" their public offices to the United Nations, and to only retain their Municipal (foreign private corporate) offices as part of the independent, international city-state government of the District of Columbia. This in itself is lawlessness and insanity. They were created by our government and when they depart from us, they depart from any excuse for their existence and purpose as a separate government on our soil. As a direct result, they have been dependent on the Territorial Government to give them a "safe harbor" --- one that they have not deserved. It is a reprise of the Dutch East India Fleet bilking its customers and shareholders in 1702, and being given safe harbor in New York by the British East India Company---- for a price. And the price, if they all have it their way, will be paid by us. They, the members of this thing calling itself the "United States Congress" literally don't "represent" you. They claim to "represent" --- as in, act as proxies for --- corporation franchises named after you: YOU. Thus, they endeavor to seize control of you and your assets and cast your shareholder votes in their filthy corporation, too. Criminals are not supposed to be exercising privileges --- and creating corporations and operating them and benefiting from them is a privilege. To the extent that the Pope and the Curia have allowed these Vermin to operate on our shores, the Pope and the Curia are responsible not only for the corporations being liquidated, but for assuring the rest of us that these Vermin don't just throw up a new shingle and continue on abusing us under a new name. Nancy Pelosi and all the other members of this deceitful, fraudulent, out-of-control, criminally-minded "Congress" need to be shut down and exposed so that everyone clearly understands that they are not our representatives. These Vermin have been running a con game to our detriment and in violation of any contract we ever had with them. They have no excuse. They have been fully informed. None of those "Persons" involved in this crime syndicate should be allowed to participate in, hold any office, or reap any benefit from any successor organization created to replace it. And none of the people running the Municipal United States Government should be allowed to hold any office of trust public or private again. Which is why I am banging on the Pope's door about this and stomping around to the members of the Curia. It's not enough to bankrupt and liquidate their old Municipal Bordello aka "Swamp". These same guilty parties have to be prevented from just coming up with a new name and going right back into business. why are we letting 515 foreign political lobbyists "house sit" our entire country?why are we letting 515 foreign political lobbyists "house sit" our entire country? From the very first, people have been wanting to get "organized" and form "political action committees" and create logos and emblems and that sort of thing and some of them have been openly hostile toward me because I won't be that kind of leader for them. The short answer is --- I don't "do" politics because politics is part of the problem, not the solution. Your actual government hasn't gone anywhere. You have forgotten how to operate it properly, but it is still here. The 1824 Webster's Dictionary gives the word "contract" as a synonym for the word "federal" --- so the "federal government is a "contract government" --- under contract to provide certain enumerated services. As for the Act of 1871, all that aimed at (and didn't accomplish, as it was repealed three years later) was to create an incorporated business structure for the District of Columbia. This Municipal Corporation was eventually formed in a piecemeal fashion and it did do a lot of damage to our country, but no, that isn't the big "problem" either. Ask yourself--- what are these political parties? Republican and Democrat? Calling them "political parties" instead of "lobbyists" doesn't change the nature of the beasts. They are still just as nasty, unaccountable, deceitful, self-interested and ruthless in promoting agendas calculated to benefit themselves and their patrons. They certainly aren't there to serve anyone but themselves and their own clique. It's like we went mad and turned the government over to two Booster Clubs. Instead of "Republican" we should have called it the "Capitalist Lobby" and instead of "Democrat" we should have called it the "Communist Lobby" and then maybe people would have gotten a clue long before this that their actual federal government --- the government they are owed --- is missing in action. It's missing in action because it has been moth-balled, waiting for us to assemble our States and reconstruct the "missing" Federal States of States. So, what we need to form are our actual State jural assemblies, not more or different political parties. We need to form our Public Courts and elect our Public Law Officers, not spin off more or different private "security" services operating under color of law. Do you realize that all the police and "law enforcement agencies" in this country are organized under Pinkerton Laws and are technically only authorized to provide security for the mail and the railroads? Every corporation now --from the State of Illinois to Walmart-- has their own private security service, aka, "Pinkertons" and the only difference is that the State of Illinois is operating under color of law, while Walmart is being relatively honest about it. Practically none of them have a thing to do with the mail service or railroads, but there they are, swaggering around in uniforms with bully sticks and guns, terrorizing the populace. One only has to blink twice to see the enforcers of feudal landlords riding down the valley, a black robed Inquisitor at the lead. Along with the complaints about my refusals to spawn a new political party --- when I firmly believe and with good reason that political parties should be outlawed --- I get complaints from people who say (quite rightly) that the world today is about leverage and enforcement and that a law is worthless if you can't enforce it. What can you expect, if the only people tasked with enforcing the Public Law --you and I-- are left unaware of their right and their obligation to do so? The job of all these private corporate police forces is to protect the property of their employers, not to enforce the Public Law, even though many of these "agencies" and "State of...." organizations operate under color of law and deliberately give people the impression that they are public law officers when they are not. 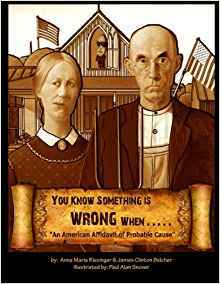 And of course, the Pinkertons don't want us to catch on, because when the people of this country step forward to do their lawful duty, it cuts down on demand for them and their jobs. It also vastly undercuts their perceived authority and ends their relative immunity from prosecution. When we form our Jural Assemblies and form our courts and elect our land jurisdiction Sheriffs, the bought and paid for "Sheriffs" working for ABC, Corp. get put in their places, because suddenly it's not the resources of a multi-national corporation pitted against little Joe Average. It's just a matter of remembering who you are and who they are, picking up the reins, and operating your own actual government instead of mistaking their bankrupt political sideshow as anything having to do with you. Of course, it very much helps if we all work together and in large numbers, but it doesn't require any new political parties or fancy logos. The same Grand Old Flag and our same old government structure will do: all we have to do is operate the actual government we are heir to. And if anybody asks you anything about it, you look them in the eye and you say, "I am doing my Public Duty to uphold and enforce the Public Law." You are in the same boat as many Americans -- confused, angry, wanting to do something, but not knowing what to do or how to do it. This is primarily because you were never taught anything valuable about how your government is supposed to be organized and operated or why. The short answer is to organize township (or parish), county, and state unincorporated jural assemblies. That is Job One, and the good folk of Michigan and the good folk of Colorado and Florida and Georgia and Texas have already done the trail blazing for everyone else. 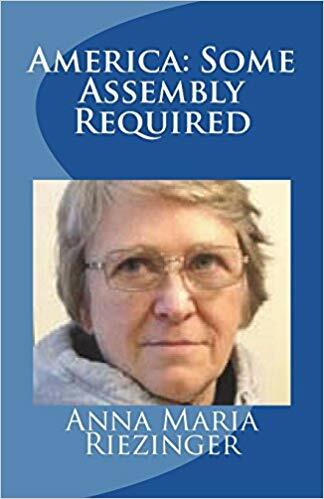 As a result, you can use their guidebook published by the Michigan General Jural Assembly as a template to organize your own local jural assemblies. What is a jural assembly? It is an unincorporated association of free men and women who organize in support of the public and organic law of these United States (the states holding the land jurisdiction) to enforce the same; they elect the local Assemblymen, for the townships and counties, and the county Assemblymen, then meeting, compose a state jural assembly. These are the lawful bodies of living men and women who "self-govern" the land jurisdiction of these United States and who are responsible for enforcing the Law of the Land including the Organic Law and the United States Statutes at Large. and serve to administer every aspect of their local and state governments. Remember the phrase "self-governing"? We are responsible for governing ourselves, via this process of self-assembly, but, when we fail to do this (or worse, become so dumbed-down that we don't realize that we have to do this), it leaves a vacuum of power begging to be filled. All this time that people have been roaming about, ranting about the "De Facto" government versus the "De Jure" government and wondering where their government went and who stole it from them, I guess it never occurred to them that they are their own enemies and the missing parties who aren't doing their own jobs. for their services and defraud us and rob us and even murder us for profit. The lawful government of these United States has been left to rot and ruin because of ignorance promoted by the "public school" system put in place by incorporated "states". These "states of states" are franchises of large private, mostly foreign owned governmental services corporations. To understand how all this came about you must go back to the founding of this country. 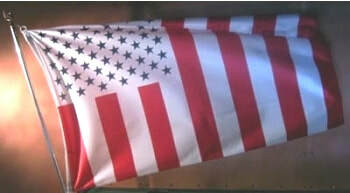 The American organic states belong to us in sum total--- air, land, and sea jurisdictions all belong to us and to our progeny, but as part of the settlement of the Revolutionary War, some concessions were made. The British had the best navy in the world and stood at the start of the industrial revolution. They desperately needed our agricultural products. We had no navy to speak of, only a commercial fleet that was constantly ravaged by privateers, so that we had a hard time getting our goods to market. So we struck a deal with King George. He agreed to act as our Trustee on the High Seas and Inland Waterways (protect our shipping, in other words) and we agreed to let him control our international trade relations (get first dibs and best prices on American commodities, in other words). British Subjects were allowed to remain in America for the purpose of providing essential governmental services related to this deal. See the Definitive Treaty of Peace, Paris, 1783, where they are described as "inhabitants" who "reside" here, as opposed to the "free, sovereign and independent people of the United States" who live here permanently. See Article 4, Section 3, Clause 2 of The Constitution for the united States of America, which makes this explicit. All this give rise to two different populations living together on this continent--- American State Nationals and British Subjects. Over time, semantic deceits were slowly introduced over the two words "United States" which have several meanings. One meaning of "United States" is the federation of separate sovereign nation-states known as the Continental United States, and the other meaning, secretively adopted by members of Congress operating as a Board of Directors for The United States of America, Inc., is "territories and District of Columbia". This second meaning of "United States" is what the Federales are talking about when they ask if you are a citizen of the United States? That is, are you a citizen of the territories and District of Columbia, like someone born in DC? Or a member of the military or federal civil service who temporarily adopts that "citizenship" status while employed by the Federal Corporation? If you say, "Yes, I'm a citizen of the United States." thinking of the federation of the separate sovereign state, they self-interestedly interpret it to mean that you are or want to be considered a "citizen of the United States" instead. Who are they to complain if you want to voluntarily subject yourself to them and accept having them and their Queen ruling over you? They will eagerly grant you "dual citizenship" and herd you like sheep into their fold and begin the process of sheering you without mercy, because they are in business here. Their only purpose is to provide "governmental services" and make money doing so. If they can force you to buy more and more and more "services"--- Social Security all the way to Obummercare--- and charge you for it, from their perspective---why not? If they can create 80,000,000 regulations for you to follow, and then hire a bunch of thugs to keep you in line and charge you fines every time you color outside their lines, why not? It's Big Business. Literally. The problem is that this was so lucrative it was a temptation the Brits and French couldn't refuse. So they colluded together against their clueless American Allies. At the start of all this, the Virginia Company doing business as The United States (trading company) took over The Contract and began providing the nineteen enumerated services our states agreed to receive. That company was bankrupted by Lincoln and a competing company doing business as the United States of America (Inc.) took over and operated until 1933 when it was bankrupted and a third version (French) took over and operated as the UNITED STATES (INC.) until 2015, when this "governmental services corporation" was declared insolvent. None of these "governmental services corporations" have a damned thing to do with us or our lawful government really. They are subcontractors providing services, like a lawn maintenance company that you hire to trim your hedges and mow your lawn and rake your leaves. The various "United States Congresses" that have sat as Board of Directors for these corporations and who are supposed to be riding herd on these subcontractors and looking out for your best interests have long ago grabbed the bit in their teeth and operated as self-interested oligarchs instead. Each one of these separate governmental services corporations has its own regulations. The old "United States of America" that operated both in and out of bankruptcy from 1868 to 1999 formulated the entire 50 Titles of Federal Code that everyone still refers to. The UNITED STATES (INC.) repealed all 50 Titles and kept only part of Title 50 as the basis of its operations and that is its only internal law, aside from Washington, DC Municipal Code. And now that the UNITED STATES (INC.) is insolvent, THE UNITED STATES OF AMERICA, INC., a spin-off of the World Bank and the UN Corporation, is here providing government services on speculation, on a "for hire" basis, but they have already been told, "Thanks, but no thanks", based on the prior performance of Rothschild affiliates who ran the old United States of America, Inc. into the ground and also contrived to fraudulently involve us in their bankruptcy and who also began the mechanized process of entrapping us via semantic deceit and secretively changing our birthright political status via fraud and non-consensual private contracting processes. All the above explains why we cannot just "charge them under the Smith Act" and other such suggestions. The "Smith Act" and all the other various "Acts" undertaken by the "United States Congress" were private corporate laws embraced by a corporation that no longer exists. It's bankruptcy settled in 1999. All 50 Titles of Federal Code became obsolete at that moment. Then the UNITED STATES (INC.), a French-based governmental services corporation running under a small part of Title 50 and Washington DC Municipal Code, took over the "federal" services contract and ran our credit into the ground for another 15 years without our consent and without any of our international Trustees--- the Popes, the British Monarch, or the United States Postmaster -- objecting to this fraud and thievery. At the current moment we remain running our own states-on-the-land government via jural assemblies operated under the Organic and Public Law of the United States, known as the United States Statutes-at-Large; and, for the moment, THE UNITED STATES OF AMERICA, INC., funded by the World Bank and operated by the UN Corporation, has stepped in without a contract to provide the necessary services on a "for hire" basis and just for shits and grins is operating according to the old Federal Code, without formally adopting it. Karen Hudes has falsely described this situation as an "interregnum" during which time there is no government but, in fact, we have been here clicking along in spite of the frauds and bankruptcies and "wars" and everything else that these "governmental services corporations" have engaged in. The so-called "Federal Government" which has never been a sovereign government of any kind may be in complete disarray, but we, the people, of these United States, are not. Enemies of our peace, freedom and standing have not only mischaracterized us as "citizens of the United States", they went before the United Nations Trust Committees and the UN Security Council and claimed that we no longer exist as fifty sovereign nation-states. They complained that we have not exercised our government on the land jurisdiction, that we have no national currency left in circulation---- both lies, and, they claimed that we no longer had representation in the international community---- thanks to the fact that the UNITED STATES, INC. went insolvent without naming a Successor to Contract. Whereupon we issued new Sovereign Letters Patent to the United Nations Secretary General and the United Nations Trust Committees and the United Nations Security Council, informing them that yes, we are still very much alive and kicking and that, By The Way, we have negotiated an agreement with two of the sovereign indigenous nations that have representation in the United Nations, the Lakota Sioux and the Athabascan Nation, and issued a Declaration of Joint Sovereignty to memorialize the agreement. Thus we are still standing, still have our Constitution in full affect, and are still operating our actual government. We still have the United States Silver Dollar in circulation. We still have our Public Law under enforcement. We have named new "federal" agents for the purposes of international negotiations and trade. We will in our good time act through our jural assemblies to name fiduciary Deputies as delegates to a Continental Congress to settle this hash, and in the meantime, it should be well-understood by all parties that we are empowered and entitled to enforce the Law of the Land, which includes the actual Constitution and the United States Statutes-at-Large, against all and any federal employees or federal state-of-state employees, such as "State of Washington" or "WASHINGTON" or "State of Colorado" or "COLORADO" franchise employees found trespassing against any of us or on our soil in violation of their corporate charters or our Public Law. I trust this goes a long way toward answering your question why we can't seem to get enforcement of all the federal and state laws and Acts of Congress that are on the books. It's because the corporations that adopted these private laws, called "statutes" and "regulations" and "codes", no longer exist. The only actual government still standing on this Continent is that of the people, for the people and by the people; and the only Law still standing is our Organic Law and our United States Statutes at Large. As more Americans wake up and say, "WTF? I wasn't born in Puerto Rico! I ain't no flipping "citizen of the United States"------!" and as more and more Americans organize Jural Assemblies to enforce the actual Organic and Public Law in their townships, counties, and states---- it will all start to make a lot more sense. The French Government is culpable for not restraining and not insuring the lawful operation of both the UN Corporation and the International Monetary Fund (IMF) and its subsidiaries including the UNITED STATES and the STATE OF ____ franchises these organizations established here. The British Government and the Government of Westminster are culpable for practicing press-ganging, inland piracy, unlawful conversion, and numerous other known international crimes against us and against our lawful government mostly via their undeclared foreign agents, including the members of the American Bar Association. The international city-state District of Columbia and its government known as the District of Columbia Municipal Corporation are similarly guilty of these crimes against the American People, and have attempted to run a "government of the person, by the person, and for the person" in a mockery of our lawful government on the land. As a result of criminality on the part of those both elected and appointed to act as our Trustees internationally and nationally, and the corporations they have operated against us in Breach of Trust, we have been plundered under color of law, suffered identity theft in contravention of the Geneva Convention Protocols of 1949, suffered credit theft and theft of our actual resources, and are now being threatened by these same thugs as they are now offering to literally kill off their Priority Creditors, the American People, in the same way they killed off the Jewish People who were their Priority Creditors in Nazi-Era Germany. Every American needs to be alerted to these actual circumstances and every community needs to be organized in the event that international negotiations related to these matters break down and the British, French, Israeli, and District of Columbia so-called "US" forces have to be restrained. You are all encouraged to spread the word from the members of Congress on down to the lowest levels of "their government" that we are fully aware now and that the false claims against us and our property must come to an immediate full stop. Federal employees, especially agency employees and appointed administrators, must be reeducated. Any attempt by the IMF dba UNITED STATES dba "STATE OF OHIO" and other franchises to attack Americans using agencies including the "FBI" and "CIA" and "FEMA", etc., will be instantly recognized as the acts of foreign commercial mercenary armies on our shores, not the result of any civil war or unrest naturally arising within America or as the result of American politics, race relations, or religious antagonisms at all. We know who we are and we know who did this to us and we know why they did it. We have stated it clearly and plainly before the whole world, before all the assembled governments, and before the people of all nations. We have notified the Pope, the Queen, the Secretary of the Treasury, the United States Treasurer, the United States Post Master and the United Nations Secretary General and literally thousands of other officials. If the IMF and its subsidiaries or the FEDERAL RESERVE and its subsidiaries---either one---are allowed to take any action whatsoever against the peaceful and non-combatant American People under the false pretense that we are or ever were legitimately and knowingly operating as "persons" or as "citizens of the United States" these acts of genocide will be recognized as precisely the acts of criminals seeking to kill off their Priority Creditors and nothing more than that--- just the vicious and immoral and unjustified actions of the guilty against the innocent. It has not been enough for them to steal us blind; now they seek to blame us for their criminality and to force us to pay for their debts at the point of a bayonet. No American is forced to continue any contract with the "United States" military under these circumstances of fraud and false undisclosed contract. No American is obligated in any way to fire upon Americans. No American who takes part in any unlawful court actions or foreclosures or seizures of property or confiscations of any kind will be held guiltless. It is time for all elected officials and all bureaucrats to be on High Alert and to remember the results of the Nuremberg Trials---- "just following orders" is not an excuse for murder, plundering, piracy, unlawful conversion, press-ganging, enslavement, involuntary servitude, identity theft, credit theft, conspiracy against our Constitution and the other crimes that the IMF and FEDERAL RESERVE have jointly indulged in on our shores. Let it also be clearly understood that Americans all maintain our absolute right to defend ourselves and our families and our property with deadly force if need be. Should the Pope and other international trustees fail their duty as they have repeatedly done in the past, any and all bloodshed on this continent will rest squarely on their shoulders. One of the advantages of being a Secured Party Creditor is asserting your right as one of “we the people” of one of the united States of America – the constitutional republic. The people have rights under common law and equity. The “property” 14th amendment citizen/slaves who were created with Birth Certificates and who have not discharged their birth certificate/slave status to become a national/secured party creditor again, do not have rights under common law and equity. As one of the people, the grantors and beneficiaries of the constitution, you have a right of equitable relief because when the government took the people’s property and gold away in 1933, via House Joint Resolution 192 and the “National Emergency” Act, the people can assert the right to equitable relief. When you assert the right to discharge, it is done. When the government took the property labor and money of the American people, the American people became “Creditors” in a Creditor/Debtor legal relationship. If a Creditor is owed money from the Debtor who borrowed money, according to UCC and Creditor/Debtor law, the Creditor can assert the right to a Set Off of the Credit owed to it. When this is done, there is no checks, bonds, money orders, or promissory notes required, nor should their be if you overstand what I just explained. A 14th amendment slave/citizen who has been “granted” privileges by the government, who has been “Granted” freedom still has a noose around his/her necks, and the government can change the rules on you at any time and set up other restrictions and not even tell you what they are. They can lie cheat and steal from you and you have no rights because you are owned by them. You are not a “Creditor” Status if you still assuming the diplomatic and tax-status role of the U.S. Citizen. A U.S. Citizen is a surety for the corporate fiction, in contract with the de facto government to form a PUBLIC TRUST ens legis “Strawman”; making you the living man fully liable as surety for all debts and your body, property, money, and offspring are collateral for a security agreement. 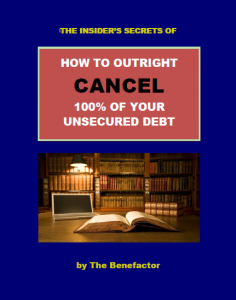 If you default on your debt, you your money property and kids can all be “Repossessed”. Scary as this sounds you can break free by becoming a Secured Party Creditor. As scary as this sounds since it was all done without full disclosure and fraud, when you were a minor and incapable of contracting in a sound mind, you can at any time declare this contract fraud. If you plan to still use the ALL CAPS NAME because you plan on using currency, registering property, etc, then you need to come up with some way to explain why you have been and will be still using this name. You need to re-organize the ALL CAPS TRUST NAME and re-organize the terms and roles, and kick the government and it’s agents off of it’s managing/administering role of your trust. Back to asserting rights to discharge, and there is much information online as to a variety of possible misinformation – writing your own bonds, checks, money orders, on what people claim are alleged “strawman bank accounts” with various combinations of routing and accounting numbers, in a frenzy of noise to try to eliminate debt. But what if they DON’T EXIST? And much/many have gone to jail because the government claims they don’t exist; many such as Tim Turner, Brandon Adams and Gordon Hall from Creditors in Commerce, who were convicted for trying to pay a tax debt with their own “money orders” which the government says are “fictitious”. I highly recommend to STAY AWAY from these failed methods. Others try to pay/discharge their debts with “promissory notes” which does not make any sense because any note with a fake promise is not legitimate. Besides why do you need to “pay” anything if you already have Credit on account that you can use to set off. We have covered this ad nauseum in our other materials, explaining exactly why these other processes do not work and are possibly very dangerous. If you are signed up to our announcement list to get regular updates, and if you are a member of our Status Correction Course then you get private/premium webinars going into detail, and a lifetime membership for updates. Now there may not actually be “Credit” because the government overspends money it doesn’t have and spends it all as soon as it comes in – so you let them take all our (we the people)’s property in 1933, and they did not cash it and create literal “bank accounts” for us to use – however they do have an obligation to allow us to discharge our debts. From our point of view based on consistent experience of successes, the way to discharge a student loan successfully (or any other discharge remedy) is to become a Secured Party Creditor and then to assert the right to discharge. Therefore you must be one of “we the people” a national of one of the united States of America – and not OF THE UNITED STATES OF AMERICA. To understand the difference, read the free PDF online “Cooperative Federalism”, you can just google it to find it. If you are going to discharge a (federal) student loan or other federal debt, you will never be able to get any benefits from the federal government again – no more student loans, unemployment, federal aid of any kind, etc. If you read the supreme court case “Hale v Henkle” you will see that you give up your freedom and sovereignty when you take a federal benefit anyway, most of my clients have phased out of this and/or refuse to accept any benefits. Some go as far as to not vote considering voting a “Benefit” and etc, others give up drivers licenses, etc, as far as you like to go is up to you as you get the right information upon doing your own diligence, fact checking, and diligence. It’s also possible, you won’t be able to get a federally-insured mortgage loan to buy a home, and since almost all mortgages through financial institutions today are FDIC insured, you may be blacklisted with them also. It is safe to also say that if you are an employee or contractor with a certain financial institution or federal government and you wish to “stick it” to the man and discharge your debt with them, they will probably fire or terminate your contract. You can’t have your cake and eat it to and you can’t bite the hand that feeds you. These concepts are not new you should all know already at this stage in your evolution of life and consciousness that “you can’t get a free lunch” and in this arena this is so so true! There are several other websites selling similar things that we do, or at least mere “promises” of what we can actually do. More and more people are coming to UCL instead because they see, sense, or feel, that we are a company of integrity and transparency and we live by the motto “at first, do no harm”! I would rather maintain your relationship by cautioning you and you respecting the caution, and have many choose not to do our process, and possibly refer someone out of appreciation for our honesty, months or years later, rather than lie to you to get your money right now. Sadly, I wish to give you notice to beware of others in the marketplace who do just that. If your first choice is us then obviously you are pulsating the right frequency from your vibrational/intentional antenna. So just make sure you are OK with the above disclaimers and if you have any other clarifications, let your UCL consultant know. The last thing we want is for someone to discharge their debt and then get fired or denied another student loan and all upset and say that we didn’t tell them so!! So if you are OK with those disclaimers, then and only then may you be a candidate to move forward with the discharge process. Again I need to emphasize that to do the debt discharge process you need to first become a Secured Party Creditor and this involves waiving and reclarifying you are a citizen of your state republic such as the “California” republic – and NOT “UNITED STATES”. 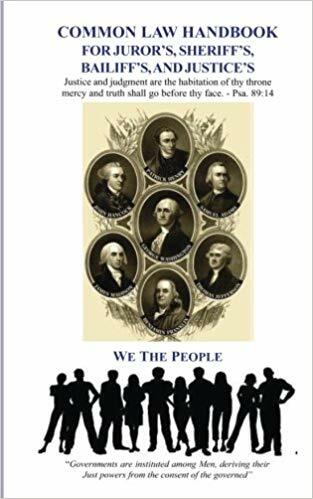 Please read the free pdf you can google and find on the internet called “Cooperative Federalism” for the most thorough and factual/historical basis on the difference between being a state citizen and a United States citizen. Also please study what it says in the United States Code on what is the definition of being considered a “United States Citizen”. I suggest you do a google search for “what is the definition of United States Citizen” and see where your journey takes you. Specifically the US Code on this is at https://www.law.cornell.edu/uscode/text/8/1401 but there are several other websites that may assist you in emphazing and interpreting the code, such as http://notapersonorcitizen.blogspot.com/, http://freedom-school.com/ , http://famguardian.org/subjects/Freedom/Freedom.htm, and www.SEDM.org, that will assist you in seeing the conclusions that I have drawn, which is that you are NOT a U.S. Citizen unless you wish to make that declaration and that you can also declare that you are not at any time. 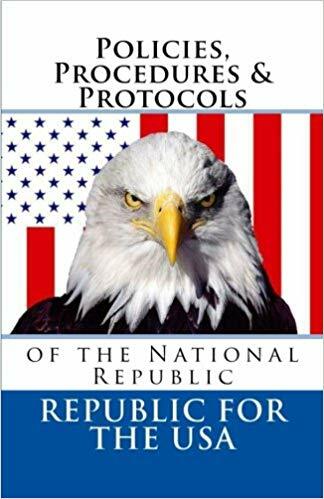 There are serious ramifications to taking the plunge and officially declaring to the entire world and all government that you are not their subjects, property, or slave any longer. This is way larger than wanting to discharge your credit card and student loan debt, and I do not accept clients who are looking to reduce or eliminate debt only. I only accept clients to become sovereign because that is what they wish to do and they truly **know** they are not U.S. citizens and who wish to move the rest of their life to an entire lifestyle of understanding and living out these legal concepts in congruency with the declarations they are about to make. However, if you have deemed that you truly wish to become a Secured Party Creditor, and then you want to discharge a student loan or any other debt as a bonus or advantage, then that is fine we would love to help you with some debt elimination. -Why are lawyers committing treason? -What is the difference between a private citizen, state citizen, United States Citizen? -What is the Common Law please explain the distinction between common law and Statutory Law? -Do non-U.S. citizens owe a tax under the US Tax Code? Why? -What is “positive law” and please explain why this is significant? I do not expect you to answer these questions right off the bat as thoroughly as me, but you should know or be finding out the answers to them and excited/eager to learn/overstand them even deeper. Do your best to research and find these answers and then be able to explain the answers to us in your own words, and we will consider if you are fit to become a secured party creditor, which entails waiving your US Citizenship. This is important that I screen you because I do not know you. If you move ahead w the process you will be signing affidavits under penalties of perjury that you declare you are NOT a U.S. Citizen. The punishment for perjury or lying on an affidavit is 5 years in prison, and you need to be able to understand and explain in your own words the summarization of any/all documents we prepare or draft for you to use, which are heavy on you not being a U.S. citizen. Perhaps you are or are not ready yet to become a secured party? Now I will provide a website we have created to lay out for you not just all the disclaimers and things you will “give up” but all the things that you can do as a secured party, at the website: www.WhatIsASecuredParty.com also there is a book called the Redemption Manual a free pdf online you can google and read one of the older version which will give you quite a bit of study material to further help immerse you in the subject matter criteria. A lot of people get so excited and jump ahead and wish to tell all their friends and family. I highly caution you to NOT share this material w your friends and family – they will think you are crazy, maybe even stir up trouble. You have to be very cautious and only introduce the most open minded people to this. When people google this technology they will find info on websites including government websites saying this is a fraud, a scam, etc. Yes there are a lot of scams out there and those websites are overgeneralizing and obviously will use any example or excuse to disuade people from moving forward with a process that is as powerful as this. So you don’t want to tell people who can not discern and/or who are not on the ascension path and/or skeptical or who will instantly believe anything on a government website. We are looking for those who say “wow if they are warning against it, then maybe there is some TRUTH IN IT” and let’s study carefully and turn over every brick and stone to try to locate the correct way to safety do the process. Besides is everybody discharged their debt and nobody paid their loans a lot of people would be out of work and the government would be less revenue and less in taxes – so obviously they do not want you to do this for those reasons (and others). I’ve even known of people get visited at their home and asked by the FBI what a sovereign is, who they got these documents from, and do they understand that it is fraud or do they understand the consequences of filing such paperwork? Other people in prison with literature about this get thrown in solitary confinement (the SHU or the ‘hole’ they call it). Well if it wasn’t that powerful successful or effective, they would let prisoners have and distribute as much of this material as possible, now wouldn’t they? Or they would not visit people at their homes (on occasion) to scare people? Now that’s not to scare you off, the chance is probably only 1 in 5,000 or so that you might get a visit however, if you do it is probably harmless but I wish to warn you there is some small chance. However, there’s also a chance that whatever business endeavors you are doing now, honestly and faithfully, you or your coworkers may have done something wrong or illegal and you will get visited asking questions or interviewed regardless. Every time you get into a car accident you have to talk to a cop to help him fill out the accident report also, or other situations in life as well there is nothing to be fearful of they are just doing there job. You could also get struck by lightening. My point is, its a small risk of scrutiny, but it doesn’t really raise the stakes that much to prevent you from doing this. There are thousands of people becoming secured party creditors every single month, and you have every lawful and legal right to do it. In fact, if you are a full-fledged Secured Party Creditor and you ever wind up in some trouble, you have a foundation of paperwork to protect you. So my argument is that if you are someone who does not wish to just “fold over” and does not like being intimidated or punished when you have done nothing wrong, then becoming a Secured Party Creditor is definitely a serious option for you. It gives you armor of protection in case you get into trouble, and this is one of the key reasons people choose to become an SPC. So these are just some things to ponder when thinking about wanting to discharge any debt especially a federal debt like a student loan, you should expect to be blacklisted and refused to receive any federal benefits going forward. So, if you are dependent on bailouts benefits and possible government support, then you may wish to just pay off your student loan especially if it is small enough. Most Secured Party Creditors are able to avoid all withholdings from their paychecks, and have many more tax advantages by using their trust as an asset protection trust, which is taxes as an irrevocable trust, rather than as a U.S. Citizen/Strawman Trust. So, the financial advantages of becoming a secured party creditor are certainly significant for most. You have to be responsible for your own due diligence and tax preparation but almost all of our clients wind up paying taxes differently, by preventing their U.S. Citizen from “receiving” any income, closing all it’s bank accounts and ceasing all it’s contracts – replacing it with their EIN number trust instead. Another way of explaining this is they abandon their U.S. Citizen (SSN #) and instead, going forward, only contract for employment or contractor relationships (1099) with their irrevocable common law trust. The proper tax form to file is a 1041 for an irrevocable trust. Maybe you can start doing some research on that, but you would be responsible for learning how to operate like that, although we do offer a powerful “crash course” in the Status Correction Course also. Hiring an accountant for the first year is highly recommend, and reading a basic accounting book like “Accounting for Dummies” within the first year or two will be very helpful for you, so that you can instruct your accountant what you like them to do. You would basically be running your TRUST like a business with a lot of “expenses” and deductions, which you need to account for. If your TRUST makes no profit, you could even file a $0 tax return on your 1041 at the end of the year, and this is NOT likely to get rejected even if it happens multiple years in a row. As time goes on, if you get audited, you show all your bank records and receipts and you will win and they will leave you alone. Not only that but it’s much better for a business or trust to get audited then you as an individual, since the trust will be liable for any backtaxes, and they can’t be against you personally, and they can not be converted into any “criminal” liability. Yet another after thought, if you discharge a loan, your credit report is going to be “toast” for a long long time. Don’t hope on using it to apply for other credit cards, loans, mortgages, nothing for a long time. Yes you can do credit repair, and clean up negative info on your credit report. But that is not part of the package or deal that we offer. When you become an SPC, you become an SPC. If you are an SPC and wish to discharge, you contact us and apply and we make sure you are fully aware of all the disclaimers and then we go from there. I love to help clients to discharge their debt, and hold their hand every step of the way so that it is 100% done, other companies or websites sell “do it yourself kits” which have new information omitted and leave many people hanging. My promise to you is that if I take you as my client my helpful staff and I will move you forward from beginning to end, holding your hand the entire way. So in conclusion, if you just looking for “Debt Relief” to help “pay bills” then our organization “UCL” is not for you. But if you have been learning towards becoming an SPC anyway, with your will and intent to take control/sovereignty over your own LEGAL NAME/BIRTH CERTIFICATE NAME for all the correct reasons stated above (avoiding court, protecting assets, controlling your estate, abandoning the SSN contract, etc), then and only then will it be appropriate to talk about discharging your (certain) debts with the HJR 192 process. Please make sure to read www.WhatIsASecuredParty.com to learn more about becoming a Secured Party Creditor. If you become an SPC with our program, then we can consult with you thereafter further about success and protocol with discharges. If you have any further questions, please feel welcome to talk to our friendly and helpful consultants by giving us a call at 505-340-3632 or setting up a consulting call to talk with our experts.